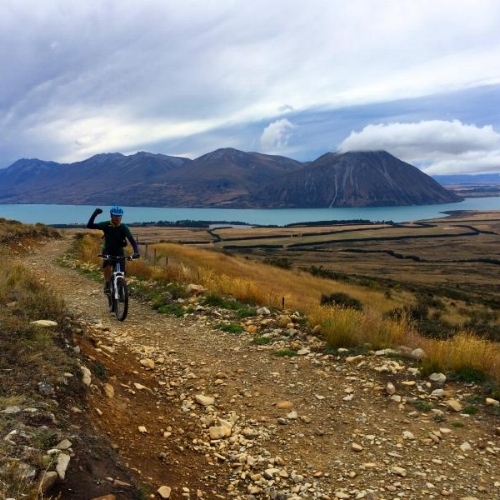 One advantage of the rocky, hilly terrain in a place like New Zealand is that it makes for great mountain biking and cycle trails. Whether its a fast afternoon downhill run, a multi-day cycle trail or a rugged bike tour, you'll find something to your liking in New Zealand. Biking has become big in the last few years and almost any part of the country you choose to explore will have an option or two to follow. Bring your own bike, if it's a favourite and will be a key part of your travel experience while in New Zealand, or use a bike provided by your tour operator. Some trails can be ridden in a day, or less, so your guide will pick you up from your accommodation, provide everything you need, and drop back at the end of the day. Some of the multi-day trails have luxury options, offering you very comfortable accommodation, good food, and a customised bike that will ease those weary bodies. Others give more basic accommodation in backpacker lodges or simple hotels. Either way you will get to experience some awesome country, amazing views and the rewarding thrill of completing another challenge on your trip. Below is a summary of some of the great places in New Zealand to bike. But no matter where you are planning to go there will be options available, even in or near most cities - email us for more info. 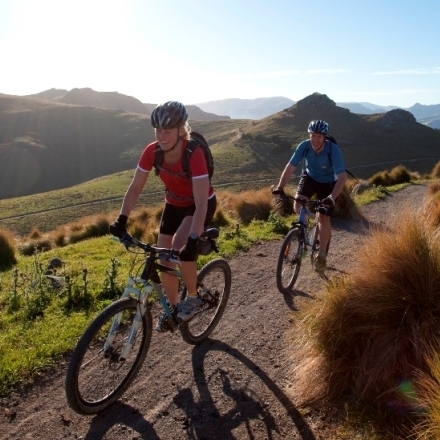 A series of multi-day cycle trails weave their way through the New Zealand landscape. These range from 2 - 6 day rides, often on easy to moderate purpose-built tracks. They generally highlight the top spots in an area - so you can follow vineyard trails in Marlborough, Nelson and Hawkes Bay. 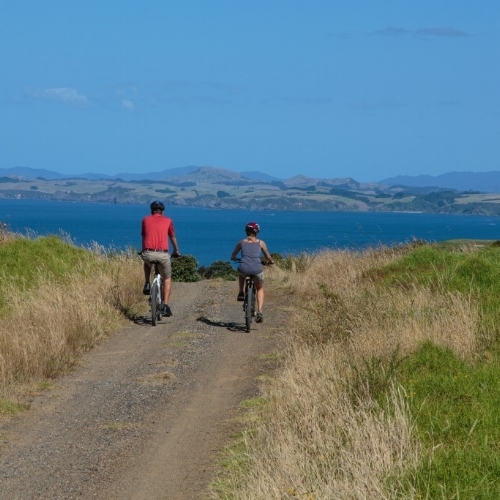 A West Coast trail explores old gold mining routes, and another ride follows the shores of Lake Taupo. 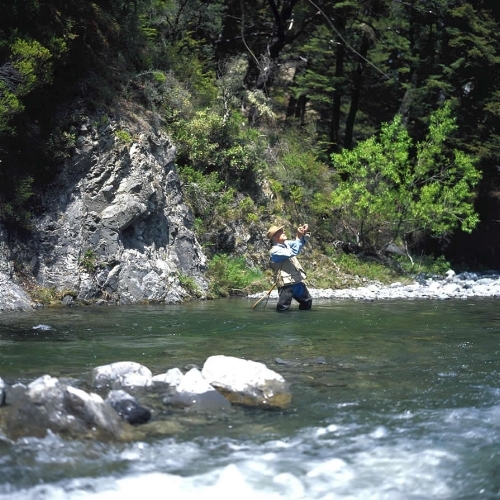 You can explore the amazing scenery of the East Cape region or the wild national park trails of Kahurangi. 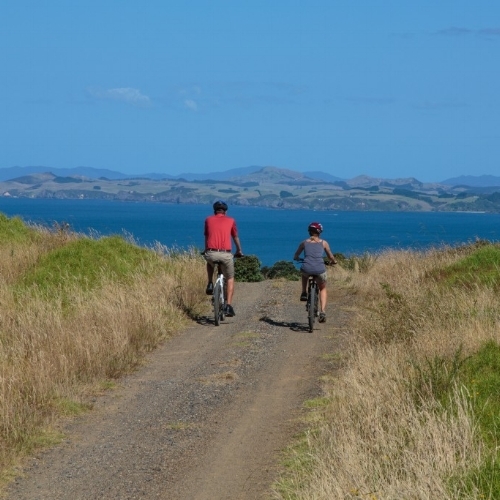 The Otago area can be crossed on the Rail Trail that follows the old railway line, or you can drop from the mountains to the sea on the Alps2Ocean ride through the Waitaki area. These trails range from easy family trips to hard-core adventure riding and all have guided tours available. Many of the lodges and retreats around New Zealand have bikes available for guests' use. And many of these places have some fabulous places to ride, without leaving the property. Often this will be all the biking you need. Some of the wilderness stays have fabulous trails through farmland and native forest. Others offer heli-biking where you can be lifted, with your bike, to somewhere high and exciting, then all you have to do is get down again. Some of the lodges are close to vineyard areas and others have riverside trails. See the accommodations below for some suggestions.